As I mentioned in my first Model of the Month post, I’m loving the opportunity to work with [re]Fresh on this and look forward to each session. November’s model, Mallory, didn’t even know that she’d been entered in the program until she heard that she had been selected. That didn’t stop her from rocking it though! With sunsets coming earlier and earlier in the day, we began our session outside to take advantage of the last little bit of light. 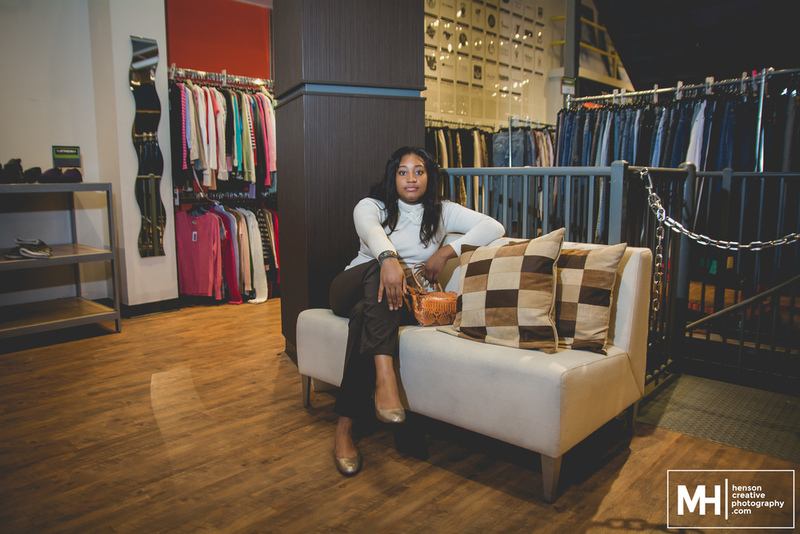 From there, we had a few different wardrobe changes and explored some new locations inside the [re]Fresh Boutique. At every opportunity, Mallory showed herself to be a natural and did a fantastic job! We did run into some issue getting her to cut loose a bit. She’s pretty serious by nature and despite Jacqueline’s and my antics, she didn’t actually let out a laugh until the camera was put away and we were all chatting…Through it all, we had a great time and ended up with some awesome shots of Mallory that you will be able to see in marketing, social media posts, and printed and displayed at the store! If you haven’t already, definitely go check out [re]Fresh and sign up to be our next Model of the Month over on their website! Our next model will be December and I’m thinking of tracking down some fake snow…If you have any ideas or want to schedule a fun-filled session for yourself, don’t hesitate to contact me and we’ll get to work on it!